The two Indian exit competition! Waiting to see whether the two Indians drop down to Repechage rounds or not. She gets an Ippon to her name, i.e, 10 points. Wow! The Uzbek Martial Artist ends the fight as soon as it begins! Garima Choudhary is Uzbekistan's Matniyazova. More Judo action coming up! South Korean Lee is the winner. He wins 10S1 to 0S3. This means that he has one Ippon to his name, along with one Shido. Brar meanwhile, has Three Shido's. Brar with yet another Shido. Lee with an Ippon. Brar has been given another Shido! In Judo terminology, Shido means penalty. Both martial artists given a Shido right in the beginning. Brar's Round of 16 match will take place shortly. Brar will now face Lee Seungsu of South Korea in the next round. And it is indeed a win here for Brar! He moves on to the next round. Brar is walking towards an easy win here. Meanwhile, his opponent, Rajitha Pushpa Kumara has committed a foul, for which he has been given a penalty. Ippon is the highest score a Judo player can achieve. Brar starts the match with Ippon! We have our first event with India's Harshdeep Singh Brar in action! Manika Batra and Achanta Sharath also created history as they won the second ever (and first in Mixed Doubles) Bronze medal in Table Tennis at Asiad. 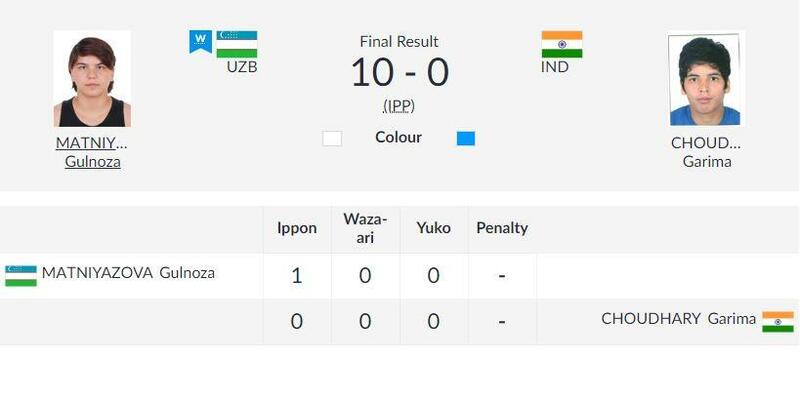 Finally, a few Indians will be seen in action in Judo! Harshdeep Brar is set to go up against Rajitha Gedara of Sri Lanka in the in the Round of 32 of Men's 81 kg. Meanwhile, Garima Choudhary will be in action against Gulnoza Matniyazova of Kazakhstan in the Round of 16 bout of Women's 70 kg category.